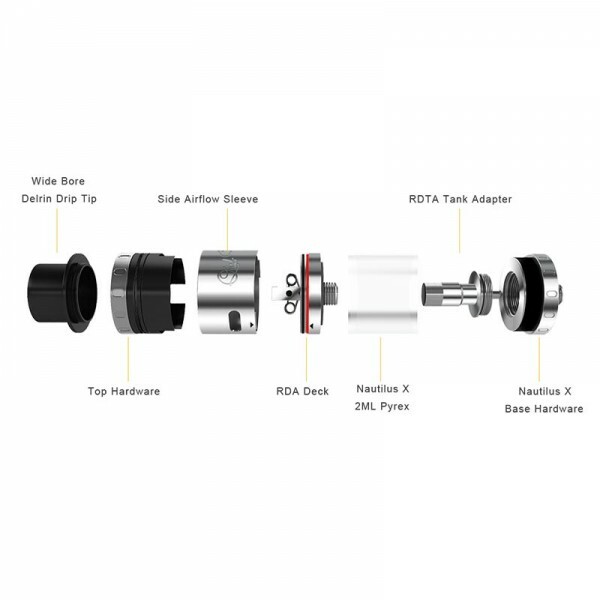 To configure the Quad-Flex RDTA, connect the Nautilus X Base Hardware to RDA deck using the RDTA tank adapter. 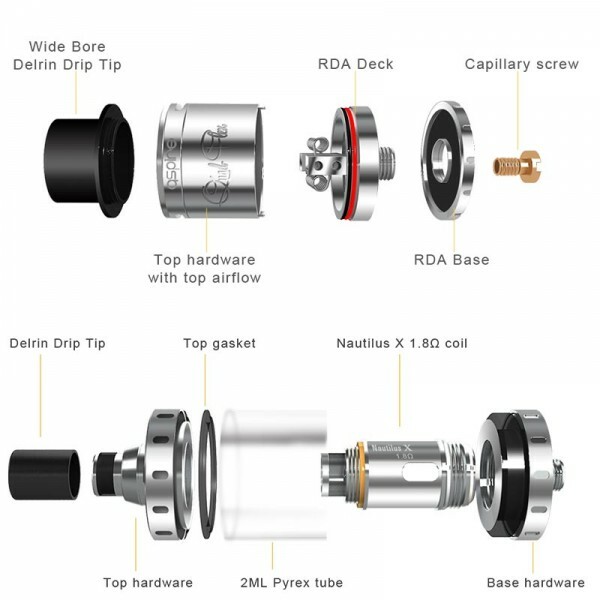 The Quad-Flex RDTA configuration supports dual or single airflow. The Quad-Flex comes with two adjustable airflow sleeves. 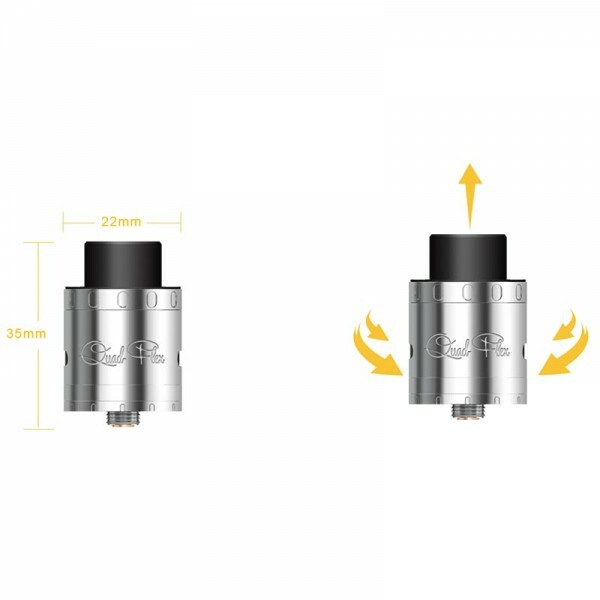 There is a Top Airflow and a side Airflow Sleeve. Interchange according to your airflow preferences. The Quad-Flex is available in Stainless steel and Black. 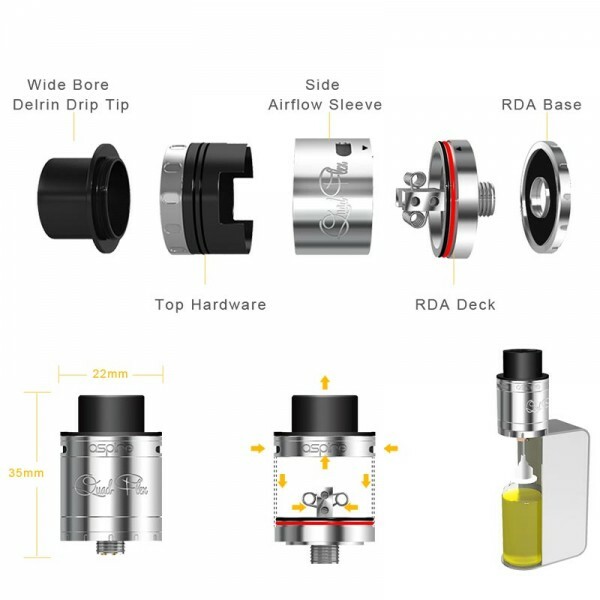 Screw the RDA base to the RDA Deck to make a low-profile RDA tank. 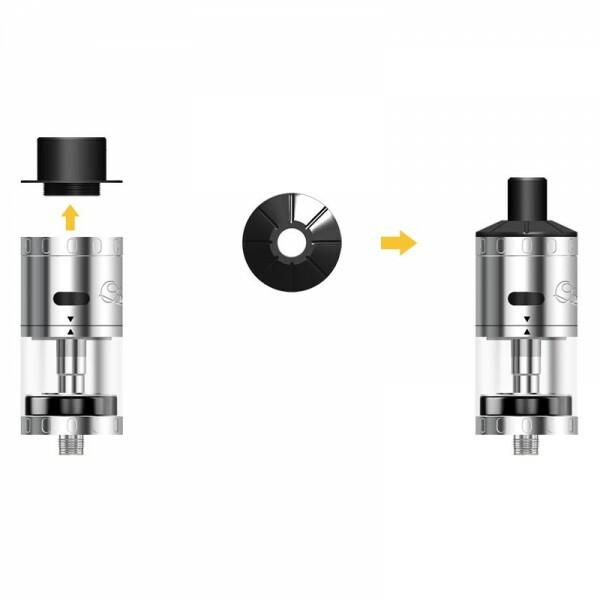 The Quad-Flex RDTA configuration supports dual or single airflow. The Quad-Flex comes with two adjustable airflow sleeves. 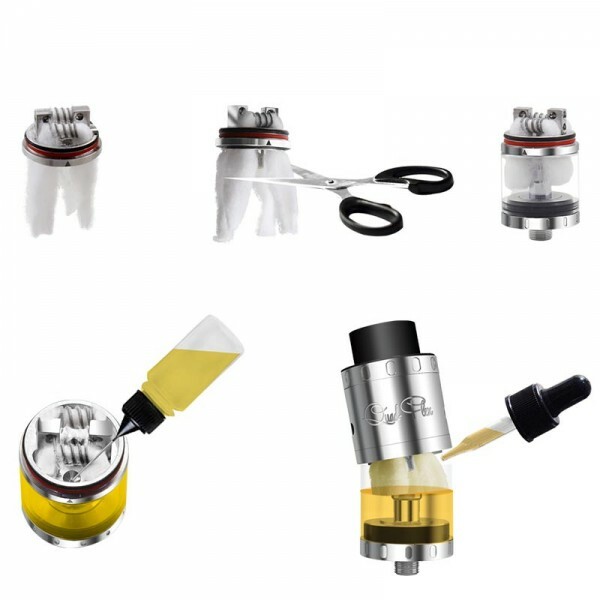 There is a top airflow and a side airflow sleeve. Interchange according to your airflow preferences.